If your startup is beginning to find its feet, it may be time to consider taking on new staff members. Finding the right candidate is not an easy task, though. Not only are you looking for someone who is able to forward your business, you are also looking for someone who will naturally fit in with the team. This is why preparing for job interviews is just as important for a business as it is for the candidates. If you do not have the right questions prepared, you run the risk of hiring someone who isn’t compatible with your startup. This is a waste of time and money for both you and your new employee. The National Business Research Institute states that 18 percent of employers who had a bad hire experienced damaged client relationships. Ten percent said it caused a decrease in business. 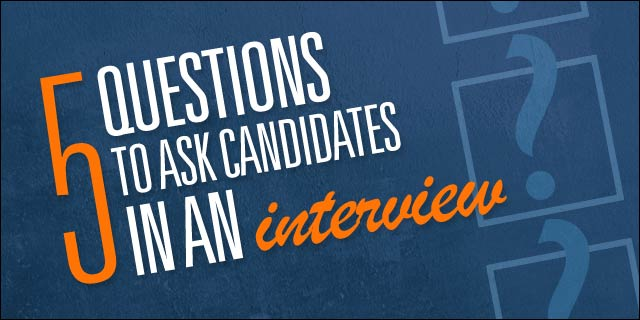 Here are some examples of questions you should ask when interviewing potential candidates for your startup. 1. What do you think of our product? Let’s say your startup has an app that is currently available to download, either as a complete package or a temporary trial. If this is the case, you should be asking candidates to share their thoughts on the app. You will be surprised by how many people turn up to job interviews without first researching what they would be working on, if hired. This shows a lack of enthusiasm that you can avoid by asking interviewees about your product. 2. What movie would you recommend to the team? As every startup aspires to have a fun working environment, you will want to find out a little about a candidate’s personality before you hire them. For example, I was once challenged to a game of foosball at a job interview in an attempt to see how well I would fit in (I didn’t get the job and I hope it’s not because I lost the match!). Some businesses choose to go about it the wrong way. Currys in the United Kingdom once made their interviewees dance to Daft Punk’s Around The World and received complaints of humiliation to the Currys’ contact number. Therefore, a simple, straightforward tactic is recommended. One idea might be to ask what movie the candidate would recommend to the team. Their taste will say a lot about their personality. 3. What business would you start if you had the opportunity? Most people applying for a job at a startup will aspire to begin a business of their own one day. It’s not a threat to the loyalty you want in your own team. On the contrary, this entrepreneurial enthusiasm is something that you should embrace. Finding out about what business they would start (and if they have some semblance of a business plan) will give you an insight into where both their skills and their passions lie. 4. What books about our industry have you been reading? Whether you are making software, apps, technology or a website, you are ideally looking for someone who is eager to learn. There are always new things to know (no matter how clever you think you are) and there are always people sharing their own knowledge and experiences in books. If you are interviewing for a job, a great way to find out how much a candidate is eager to learn is to ask what books about your niche industry they would recommend. This will also demonstrate their passion for your field. 5. What have you been up to recently? This sounds like the dumbest, most inane question to ask a candidate in a job interview. However, a simple inquiry into what someone has been up to recently could separate the perfect candidate from the bunch. Why? No matter what job they have at your startup, the person you employ is going to be an ambassador for your brand. They are an ambassador when they meet their family for dinner, when they catch up with friends over a cup of coffee, and when they go to a party on the weekend. What you need is an employee who is going to sell your startup with good word-of-mouth wherever they go. What you need is a storyteller. The candidates who are able to turn this seemingly inane question into a fascinating and entertaining answer might just be able to do that. A games console can make a brilliant Christmas present, or just a nice treat for yourself. The good news is that Black Friday is probably the best time of year to pick up a new Xbox, Playstation or Switch. We take a look at the best deals this year on gaming. Apple likes to boast of the clean energy it and its suppliers use in manufacturing. However, Apple's overall social responsibility record is distinctly patchy and inconsistent. Daniel Sarath is a writer who has contributed to Yahoo, Lifehack and many more. He also writes for the technology website Number Direct where he regularly discusses the latest innovations, covers the biggest breaking news and shares his predictions for the future.